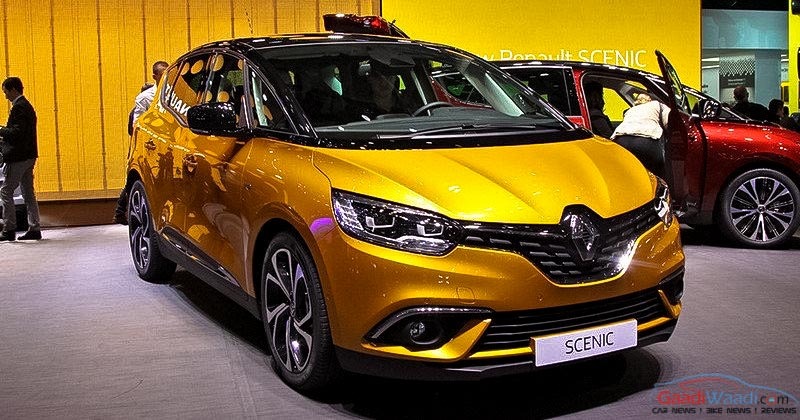 Renault Scenic compact MPV was first introduced in 1996. 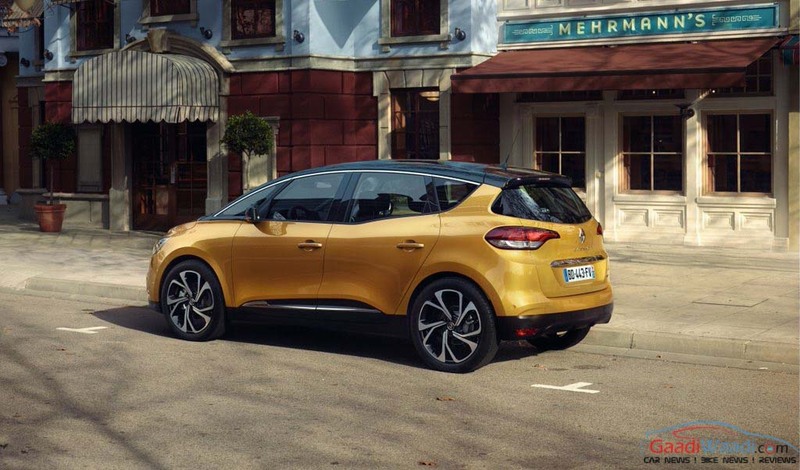 With two decades gone the French automaker has unveiled the fourth generation of scenic at the ongoing Geneva Motor Show. 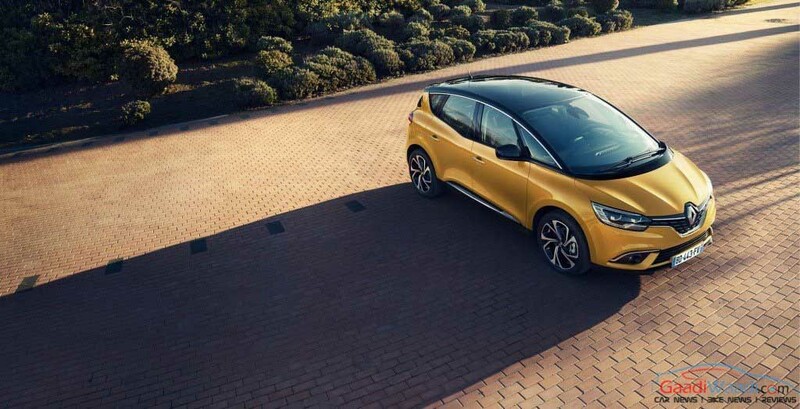 Taking inspiration from 2011 Geneva Motor Show R-Space concept the new generation Scenic gets all the best features of a crossover and MPV under one roof. Compare to the third generation Scenic this car looks absolutely cool. The front fascia gets sleek headlamps with dual rectangular units and integrated LED daytime running lights. The V shaped front grille gets chrome garnishing, which makes the front facade stylish. The front bumper comes revamped. Round shaped fog lamps positioned at both sides of the lower bumper gets chrome highlights. If we take a look at the side profile, the crossover treatment becomes easily visible. The higher stance, 20 inch massive wheels make the car bolder. The wheels sport a razor like style. Talking about dimension the new scenic is slightly bigger than the previous version, as it gets 4406 mm length, 1865 mm width and 1653 mm of height. The wheelbase stands at 2734 mm and the enhanced ground clearance stands at 170 mm, which is 30 mm higher than the previous version. The interior adorns a more driver centric dashboard and controls. It gets a 8.7 inch touchscreen infotainment screen which comes with pinch and zoom facility. The interior is pretty much spacious than the Scenic third generation. At the rear it gets 572 litres of boot space. 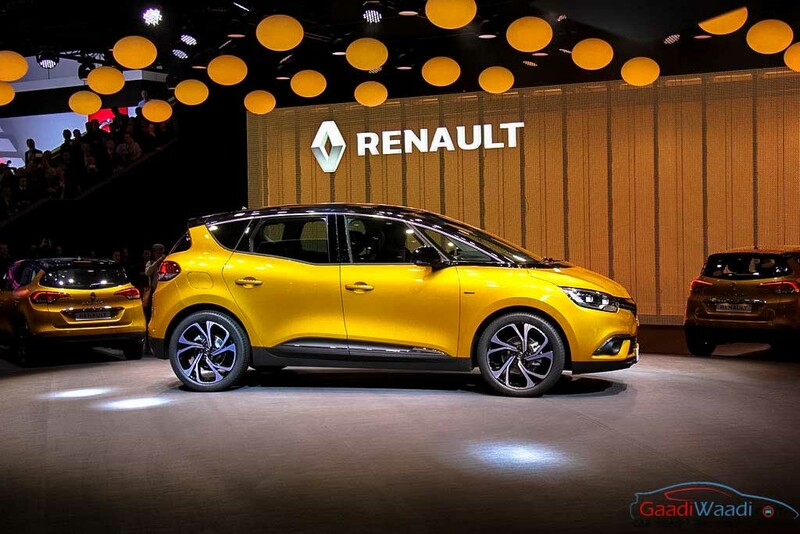 Talking about technologies, this car will feature Active Emergency Braking System (AEBS) and pedestrian detection as standard, while it might also get lane keeping assist and fatuigue detection alarm system. The fourth generation Scenic’s engine line up consists a total of six diesel units, while there will be two petrol motors as well. So, what we get in the diesel variants? An Energy dCi 95 unit mated to a six speed manual transmission, an Energy dCi 110 unit paired with a six speed manual transmission, the Energy dCi 110 hybrid assist with a six speed manual gearbox. The Energy dCi 110 with Efficient Dual Clutch (EDC) will get a seven speed automatic gearbox, Energy dCi 130 will be paired with a six speed manual gearbox, while the last in the lineup an Energy dCi 160 with EDC will be mated with six speed automatic transmission. The petrol lineup on the other hand will get an Energy TCe 115 motor mated to a six speed manual transmission and an Energy TCe 130 unit mated to a six speed manual transmission.